Sprint, the nation’s third-largest wireless carrier, filed suit Tuesday to block AT&T from buying T-Mobile, a merger that would make it the largest carrier in the United States. Sprint’s legal filing comes just days after the Justice Department filed its own suit to block the acquisition. The feds and Sprint argue the merger would lead to higher prices and less innovation, thus violating the Clayton Antitrust Act passed in 1914. Sprint argues that the merger would create a duopoly — with AT&T and Verizon controlling more than 75 percent of the wireless market, which would allow the two to silently collude in raising prices. 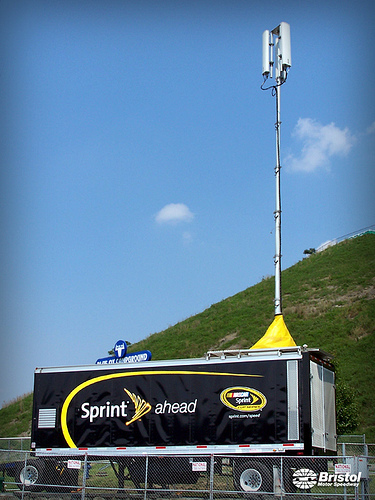 Moreover, Sprint argues that the concentration would harm smaller competitors, because small carriers are reliant on the big companies for roaming agreements and even for the “backhaul” connections that tie cell towers to the greater internet. “If the transaction were to be allowed, a combined AT&T and T-Mobile would have the ability to use its control over backhaul, roaming and spectrum, and its increased market position to exclude competitors, raise their costs, restrict their access to handsets, damage their businesses and ultimately to lessen competition,” Sprint said in a statement announcing the suit. 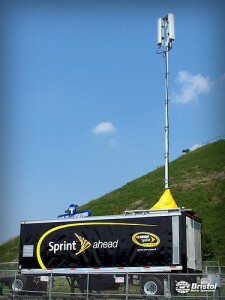 Not surprsingly, AT&T spokesman Seth Bloom says that Sprint is simply looking out for itself, not the public. This simply demonstrates what we’ve said all along – Sprint is more interested in protecting itself than it is in promoting competition that benefits consumers. We of course will vigorously contest this matter in court as AT&T’s merger with T-Mobile USA will: help solve our nation’s spectrum exhaust situation and improve wireless service for millions; allow AT&T to expand 4G LTE mobile broadband to another 55 million Americans, or 97% of the population; and result in billions of additional investment and tens of thousands of jobs, at a time when our nation needs them most. Sprint, which has been fighting to stanch its losses of prepaid subscribers, has vociferously opposed the deal from the start, perhaps fearing that in a world with just three nationwide mobile carriers, it won’t be able to survive. The suit was filed in the D.C. Circuit Court and is a related case to the feds’ suit.